Each year over 1,300 Jewish Family Service volunteers of all ages make a world of difference for our clients, our agency and the Dallas community. Their dedication and commitment make it possible to provide our specialized wrap-around care to those in need. All volunteer prospects are expected to fill out an application below. One person may complete the application for all members in the group. A background check and orientation are required for 18+ applicants. We DO NOT accept drop in volunteers. Please save a copy and send to Kristen Jackson, Community Engagement Manager, at kjackson@jfsdallas.org for processing. Interested in scheduling group service projects? We have multiple opportunities for corporate, youth, religious and secular organizations including our two educational, interactive programs – The Food Pantry Experience and Inclusion Experience. We can accommodate groups of all sizes! New ideas are always welcome! Contact the JFS Community Engagement Team for more details. In observance of Shabbat, the JFS Main Office is not open on Saturdays. However, The Resale Shop Locations are both open on Saturdays. Returning volunteers who have already completed the application process and have received confirmation of their approval can access the JFS Volunteer Portal below. This enables you to update volunteer hours, set your schedule and change your profile information. With the support of JFS Volunteers, our professional staff touch the lives of 13,000 people every year. We have ongoing opportunities for families and children, corporate volunteers, teens, and seniors. 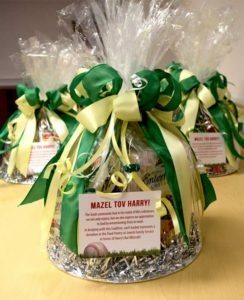 For nearly 20 years, Mitzvah Central has served as a community resource for volunteers of all ages. Find out the latest opportunities for families, Bar and Bat Mitzvah projects, community service hours and more. Our volunteers are essential to making The Resale Shop a success. There are a variety of volunteer opportunities for all ages, interests, and availability. The Resale Shop employees and volunteers work together to process donations, sort and price clothing, organize the floor, pick-up donations and assist customers. Want to help with this exciting project? Volunteers of The Resale Shop receive a 20-percent discount on purchases and the satisfaction of knowing that their effort helps JFS to respond to the critical needs in our community including food, financial assistance, job placement, mental health interventions to children and families and services to the elderly. For more information about The Resale Shop, visit The Resale Shop page. An in-kind donation to JFS—the donation of a product or service—can provide cost savings and help us maximize our services to families in need. If you’re interested in hosting a food drive in your neighborhood, school, house of worship, or workplace, please contact our Community Engagement Manager at (972) 994-0502 or kjackson@jfsdallas.org. Our Food Pantry team can provide additional information about current Food Pantry needs and resources that will help your drive be successful. These items are accepted as donations to The Resale Shop. The Resale Shop is operated by JFS and provide funding support to Jewish Family Service’s programs and services which are available to anyone in need. Learn more about donating to The Resale Shop. Thank you for spending your time volunteering with Jewish Family Service of Greater Dallas. Please take a moment to fill out whichever survey applies to your experience so that we may improve future volunteer activities. To learn about current scheduling needs for individuals or groups, please contact Community Engagement Manager, Kristen Jackson, at Kjackson@jfsdallas.org or (972) 994-0502. Share your celebration with those less fortunate by purchasing decorative Centerpieces for Tzedakah (charity). 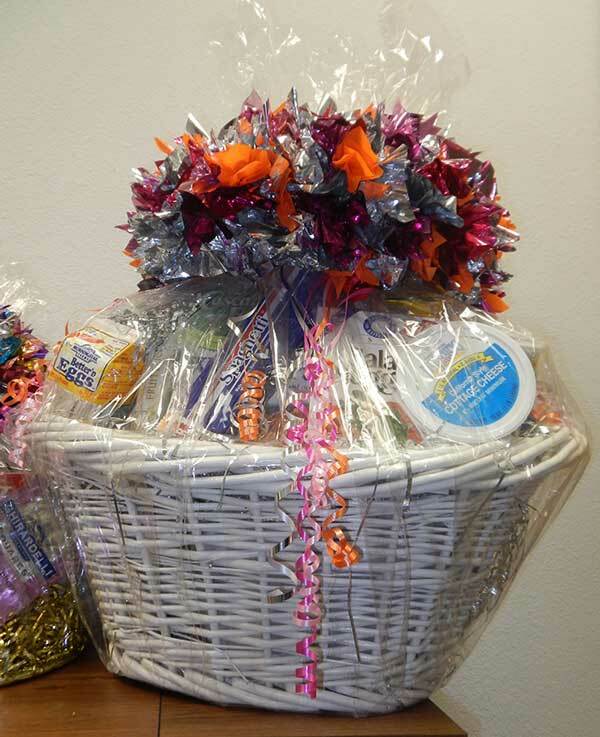 Centerpieces are filled with (empty) kosher food containers to represent your contribution to the JFS Food Pantry. Each gift is used to purchase basic needs items, providing help and hope to those in our community in need of emergency assistance. Whether you have a large social event or a simple dinner party, these customized centerpieces are designed to match your event’s theme, style and colors scheme. 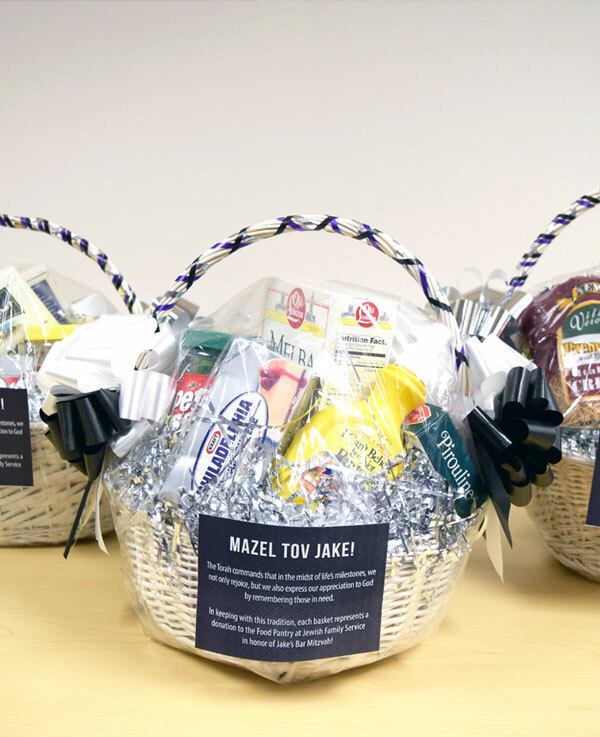 Make the perfect addition to your table while directly supporting Jewish Family Service’s Food Pantry! Contact Community Engagement Manager, Kristen Jackson, at Kjackson@jfsdallas.org or (972) 994-0502.